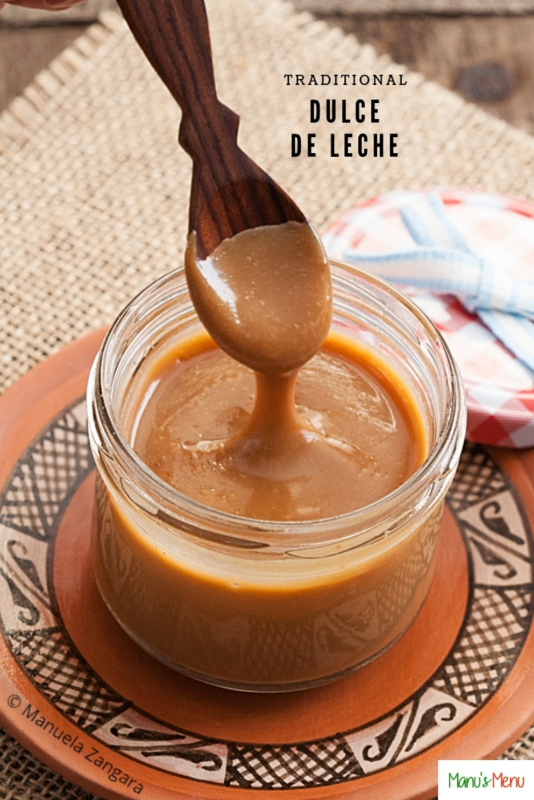 I am so happy about sharing today’s recipe: Traditional Dulce de Leche! If you know me, you will know that I love Nutella. Every Italian child grows up eating bread and Nutella, just like every Australian child grows up eating vegemite sandwiches and American children eat peanut butter and jelly sandwiches. 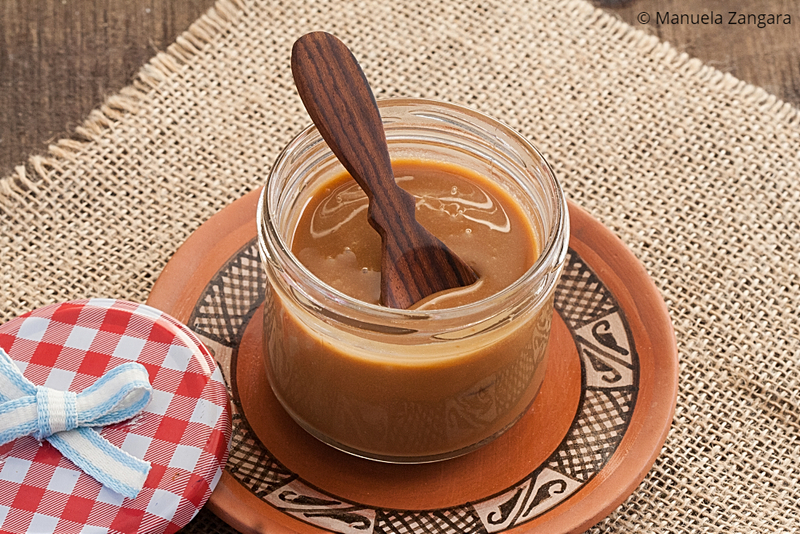 Children in Argentina can enjoy one of the best spreads in the whole world: Dulce de Leche. 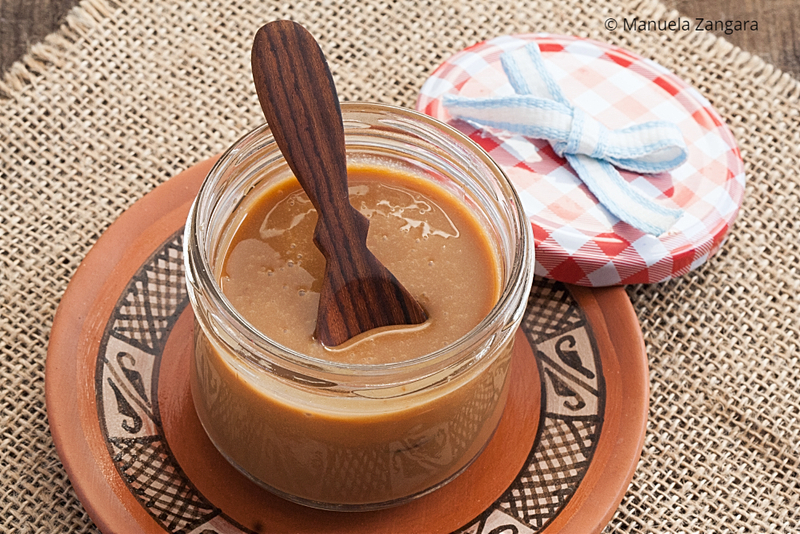 It’s basically caramelised condensed milk that is cooked down until it thickens enough to be used as a spread. I completely fell in love with Dulce de Leche during our trip to Chile and Argentina a few months ago, so I knew I had to make it at home. 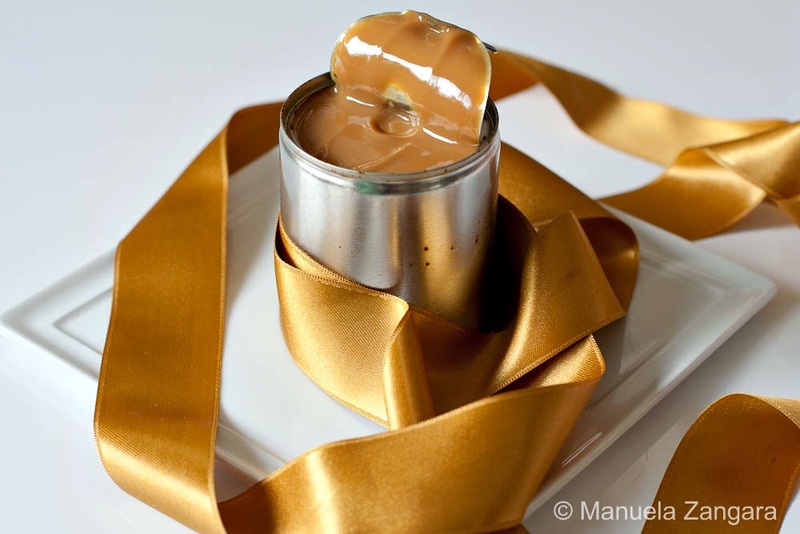 I had already shared with you a quicker version to make Dulce de Leche from a tin of condensed milk (click here for that recipe). However, I must confess that I liked the taste of this traditional version more and, unless you are making a huge pot of it, it doesn’t require that much time and stirring anyway. I used lactose-free milk to make this, so I could it eat it without having to worry about lactose, but feel free to use regular milk. Just make sure it’s full cream milk or the result will not be the same. 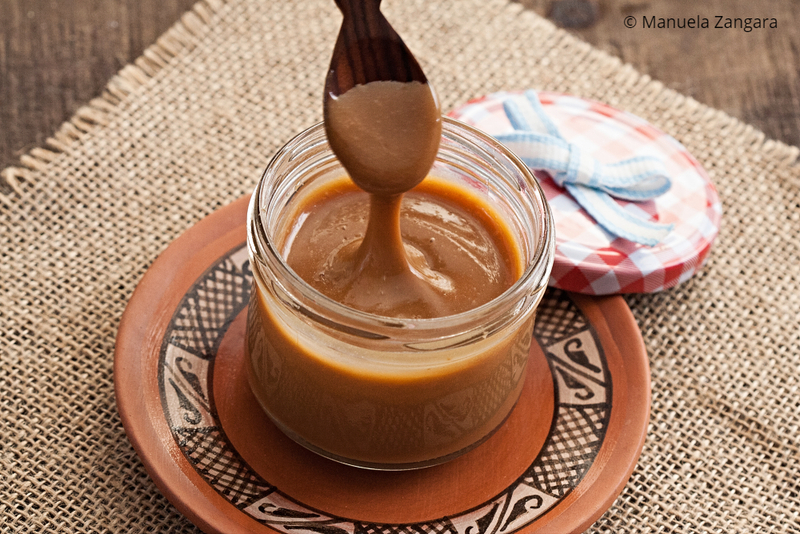 A little note about Dulce de Leche… the same thing (or with small regional variations) is made all over Latin America and it’s known with different names: Manjar in Chile and Cajeta in Mexico are a couple of examples. However, this is the Argentinian version. You can use it on bread or croissants as a spread or you can use it to fill cakes and cookies. I also like it plain, off the spoon! 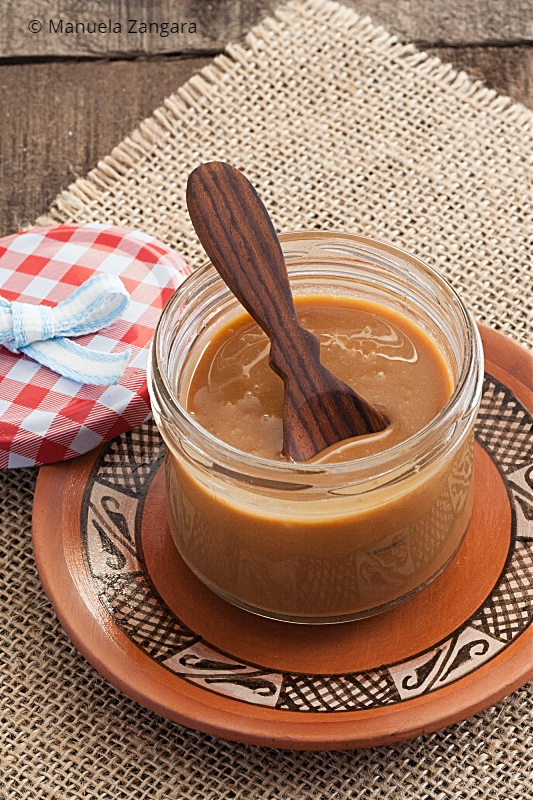 Traditional Dulce de Leche – a delicious caramel spread from Argentina, made the traditional way. In a big heavy pot, mix together the milk and sugar and bring to a boil. Reduce the heat to low and cook, stirring, for 25 to 30 minutes. 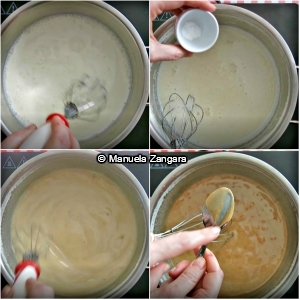 Add the soda bicarbonate, mix, and keep cooking until thick and caramel colour. It will have to be slightly thicker than custard. Add vanilla and pour in sterilised jars. Let it cool down and refrigerate. 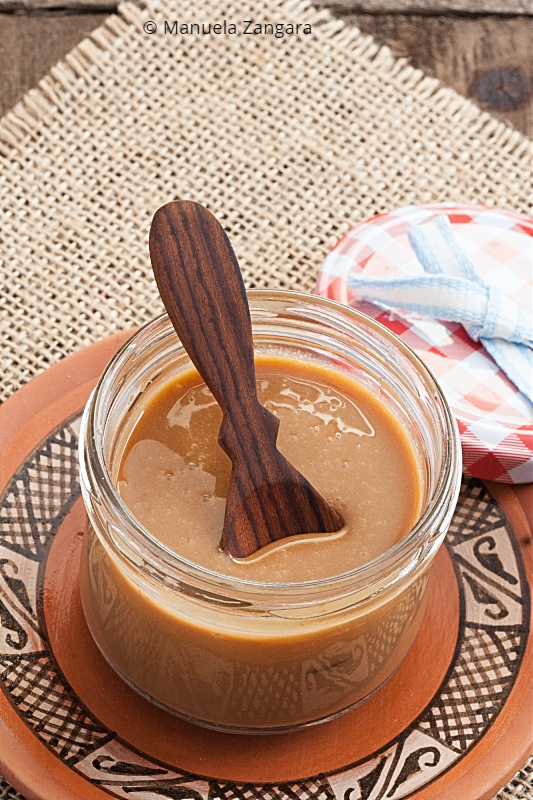 Make sure your dulce de leche is still quite runny when you stop cooking it. It is like jam and it will thicken much more when it cools down. If you overcook it, you will have very sticky and chewy caramel and you will not be able to use it as a spread.